"I'm fortunate that I was introduced to the world of yoga and pranayama at an early age. That has been very useful to me. I always advise everyone to make this a part of their lives." These are the words of sturdy Prime Minister Mr Narendra Modi, who is doing his bit to contribute as the world buckled up to celebrate International Yoga Day on June 21. The tough leader wishes to establish not just one but two world records—first, for the largest yoga class and second, for the most nationalities in a yoga lesson. 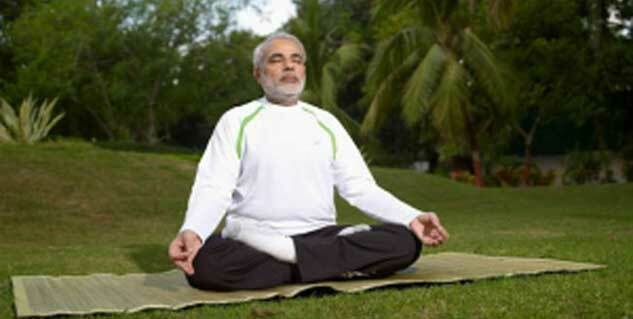 Expressing his belief in benefits of Yoga, our workaholic PM said "sometimes, we notice our mind works on one thing, the body on another, and time brings us into conflict. Yoga synchronises the heart, the mind, and the body. That is yoga." 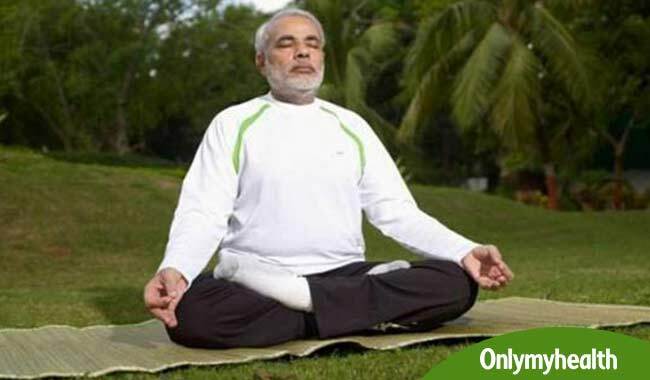 Here are some yoga poses by PM Modi that you must definitely learn now for a holistic approach towards a healthier mind, body and soul. 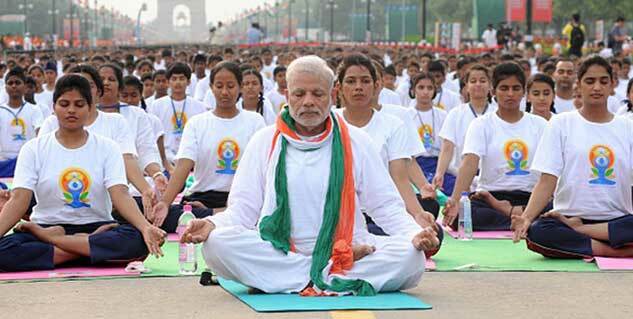 The term Sukhasana has been derived from two Sanskrit words `Sukha’ means happiness and `asana’ which means `pose’. Sit on a yoga mat and spread your legs out straight. Stretch your legs and keep them straight. Now, bend your left knee in a way that the sole of your left feet is placed on the inner side of your right thigh. Be in a comfortable position. Then, bend your right knee in a way that the sole of your right feet is placed on the outer side of your left calf. Make sure that your spine is stretching out straight. This asana soothes the brain, resulting in the reduction of stress, improved concentration and increased self-confidence. Padmasana or the lotus pose comprises sitting cross-legged with spine vertically straight, making it an ideal pose for meditation and concentration. This asana has myriad benefits, beginning from soothing the brain to increasing awareness and attentiveness. Practising the lotus pose regularly aids the development of a good posture and helps to keep the joints and ligaments flexible. Ustarasana or the camel pose enhances core strength and gives your spine, hip and shoulder the much-needed flexibility and stamina. Albeit subtle, the effects of this pose are brilliant and can be clearly seen by way of an improvement in the condition of your digestive, respiratory, endocrine, lymphatic, skeletal and circulatory system. 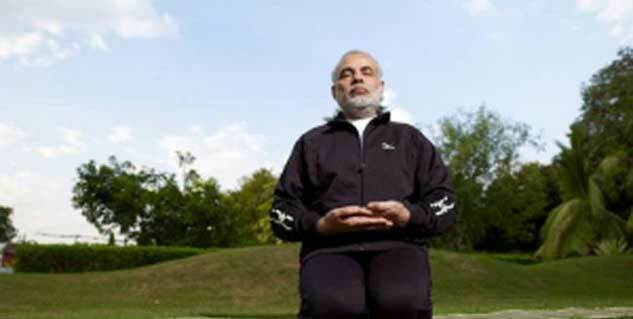 Vajrasana or the diamond pose is a simple pose which must be practised after meals. Performing Vajrasana regularly helps you to build a stronger and healthier body. It helps you keep digestive problems such as constipation at bay and strengthens muscles of the legs and back.